When I was young, my family had a tradition of making pasta for Sunday lunches. We would get home from church and my mom would start her delicious sauces while my sisters would start cooking the pasta and setting the table. Kids would play around while waiting for lunch. The smells in the kitchen were just amazing! Here is one of the sauce recipes I really enjoy making it. I like it because it tastes fresh and light. It is also very versatile. You can use on top of spaghetti, as a sauce for a meat roast, top chicken cutlets or even to make risotto. First blend about 5 or 6 medium size tomatoes to create the 3 cups of blended tomato sauce. Set aside. In a large sauce pan, heat the oil and cook the onions until translucent. Add chopped garlic. Sautee for a couple minutes. Add the chopped tomatoes. 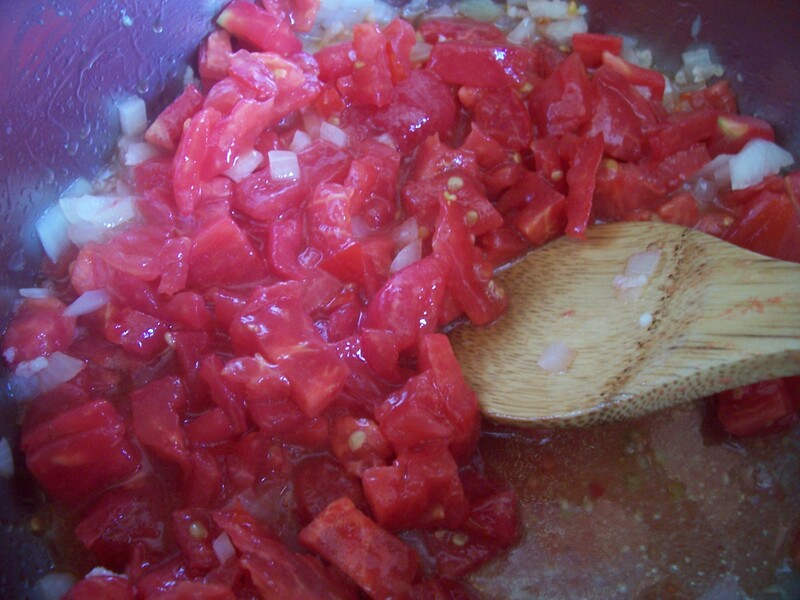 (it might take 3-5 tomatoes to make 2-3 cups of chopped tomatoes). Let it cook for a couple of minutes. Slowly add about 1/4 cup of the tomato sauce you set aside. 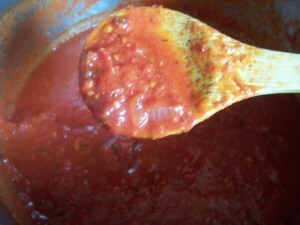 Let it cook, when you see the liquid is evaporating, start adding more of the tomato sauce. Add the salt, pepper, sugar, bouillon, red pepper flakes. Let it simmer for another 15 minutes or so. Then come back and add a little more of the tomato sauce. You will want to keep adding the sauce until it is all gone. Add it slowly. Taste it for seasoning. Adjust salt as needed. Add the oregano and basil. 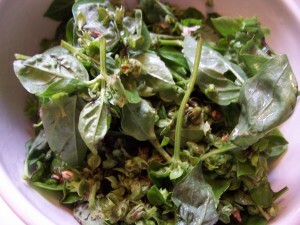 (Only add it here if you’re using dried basil and oregano. 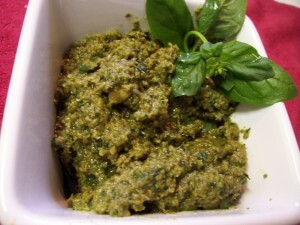 If you use fresh oregano and basil, add it to the sauce pan at the end of the cooking time.) If you choose to use red wine, add it now and then cover the sauce. Turn the heat to medium low. Let it cook for about 1 hour. 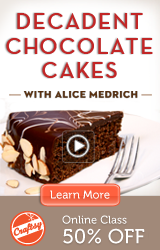 You want the consistency to be thick. The more you cook it, the thicker it will start to get. For my preferred consistency, I let it cook for about 1 hour and 20 minutes. Wash and dry your basil leaves. 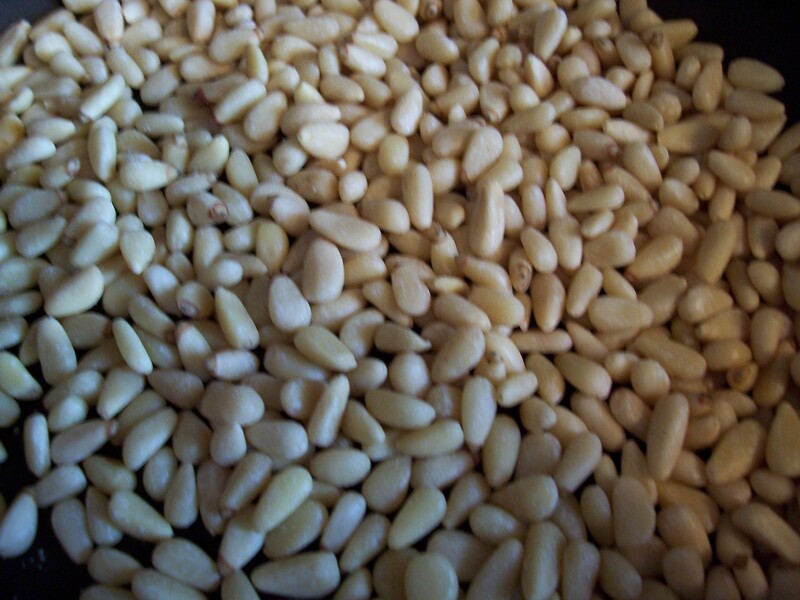 In a sautee pan, toast the pine nuts slightly. 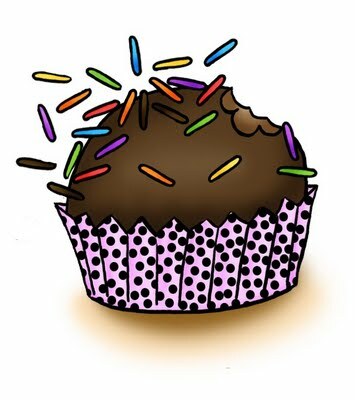 Keep an eye on it! 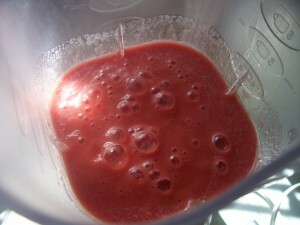 This time I used my Magic Bullet, but usually I make this on a food processor. Add the basil, pine nuts, garlic, Parmesan, salt and pepper. If you are using the magic bullet add the olive oil with all the other ingredients. You may need to add a little bit of water just to get things going, pulse until it is all mixed. 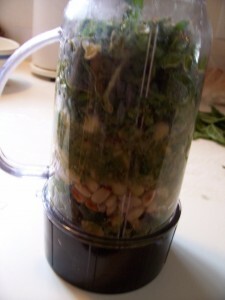 If using a food processor, mix the ingredients and slowly add the olive oil until it all blends in nicely. I love to use pesto sauce for sauces (if you want creamy add a little bit of cream or Alfredo sauce to it), pizzas, shrimp. It is also a delicious spread for toast. Enjoy it!